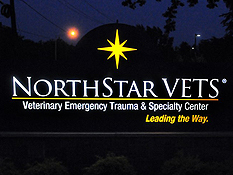 Thank you for choosing NorthStar VETS as your partner for emergency, specialty, and advanced care. We sincerely appreciate the opportunity to work with you to care for your patients. By telephone: Call us at 609.259.8300 to arrange a consultation, schedule surgery, discuss a case, or obtain an estimate of fees. If our doctors are unavailable, our Client Liaisons are here to help and provide immediate advice. Messages left on voice mail will be returned promptly. Web Form: Click here to submit your referral using our web form. Print a Hard Copy: Click here to print out our referral form; complete it and give to your client to bring to their first appointment. NOTE: Your client must call us at 609.259.8300 to schedule a consultation. 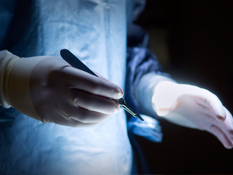 Emergency cases do not require an appointment or referral form. A call is always appreciated if possible. We recommend that you provide preoperative blood work and thoracic radiographs for all non-elective cases, and for elective cases in patients >5 years of age. This information can be brought in by your client, mailed or emailed to us using the referral form. Radiographs should be emailed to info@northstarvets.com. Simply call us at 609.259.8300 to discuss the estimated fees for a specific case or to request a printed fee schedule.